Is your Toyota Tundra in need of a new set of tires? Does your Toyota Camry simply need an oil change? Whatever auto maintenance your vehicle requires, we can accommodate it here at Joseph Toyota of Cincinnati. We are proud to be a full-service Toyota dealership, helping you find the perfect new or pre-owned Toyota and keeping it running for years to come. To supplement any service or repair, we host an onsite auto parts center serving the greater area of Fairfield, OH. Stocked with OEM Toyota parts and accessories, we’re sure to have just what you need for your replacement or upgrade needs. Along with this is a tire center, featuring top-name brands and types fit for any Toyota car, truck, or SUV. Goodyear, Dunlop, Michelin, and Bridgestone are just a few examples. Our customers always come first, which is why our Toyota service center offers a variety of amenities to make every visit that more convenient. We offer two lounges with TVs, free WiFi, complimentary coffee, water, and snacks, work stations, and shuttle service to anywhere within five miles as you wait for your car to be serviced. And with every maintenance visit, we provide a free car wash! 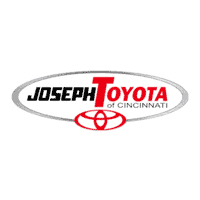 To learn more about what we have to offer, contact us at Joseph Toyota of Cincinnati today! We look forward to working with you soon.